As much as we all love to swoon over every moment Meghan Markle (now the Duchess of Sussex) and Prince Harry spend together, at least one potential opportunity to do so will not be realized. Although the couple’s fairy-tale romance has so far included celebrating big occasions by each other’s sides, the two are unable to be together as the one-year anniversary of their official engagement announcement rolls around on Tuesday. It’s unclear whether the couple spent the anniversary of their actual engagement together, which Kensington Palace stated last year occurred sometime in early November. But don’t worry; there’s no drama behind the decision to spend this time apart. 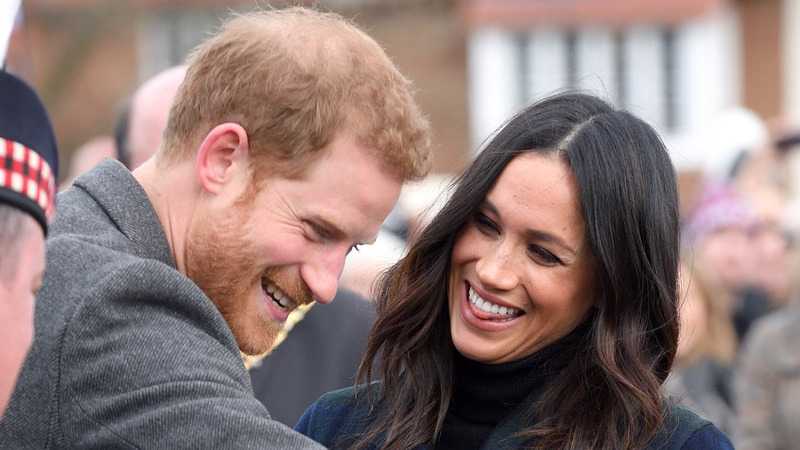 The beloved royal couple is still crazy about each other. In fact, that accounts for at least part of the reason they’ll be apart this week. The primary reason is Prince Harry’s two-day visit to Zambia, where he traveled to meet with the conservation group African Parks (of which he is president) on behalf of the Commonwealth. However, Meghan stayed behind to handle the many things the couple currently has going on the home front — for starters, taking care of herself during the second trimester of pregnancy. The couple is expecting their first child in the spring of 2019, per a statement earlier this year out of Kensington Palace. Meghan likely also has her hands full with the couple’s recently announced move from their current home on the grounds of Kensington Palace to Windsor Castle’s Frogmore Cottage. Although their new residence is reportedly undergoing renovations to suit the growing family, Meghan likely has preparations to make and plans to put into place before the move can transpire. The couple reportedly plans to make that move official early next year — presumably sometime before their baby is born. And despite much speculation to the contrary, it appears Meghan’s mom, Doria Ragland, will not be making the move from the United States into her daughter’s new home. Per People, a source confirms Ragland will continue to reside in Los Angeles, but it’s possible she will have rooms set aside for her at Frogmore for extended visits. Outside pregnancy and a major move (as if that weren’t enough), Meghan also has her own royal role to attend to. Meghan serves as a Commonwealth Youth Ambassador alongside Harry. She is also the fourth patron of the Royal Foundation alongside Harry, Prince William and Kate Middleton, among other responsibilities.